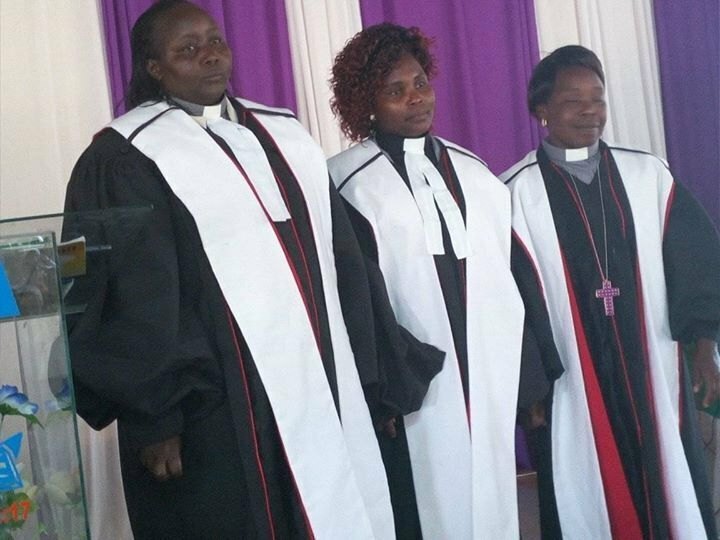 Our sister church in Kenya, the RCEA (Reformed Church of East Africa) made an historical decision during their 54th synod meeting, namely to include women in the ministry of the Word and sacraments. The following first women to be ordained were Rev. Philisters Tuwei Keter who was ordained on 29 July at RCEA Cheptiret Parish, Eldoret, Rev. Lydia Jebet Tanui who was ordained on 12 August at RCEA Kipsinende Parish, Eldoret and Rev Dinah J Tuwei who was ordained on last Sunday, also at RCEA Kipsinende Parish, Eldoret. The RCEA was established in 1944 when the DRC of South Africa started to do missionary work in Eldoret, Kenya. The RCEA became independent in 1963 and currently has more than 200 congregations and 30,000 members. It also has more than 110,000 followers. We still maintain good relations with the church there, and through NetACT (http://netact.christians.co.za/) we also have close contact with their theological school in Eldoret. The RCEA is also a member of the World Community of Reformed Churches. Contact their General Secretary, Rev. Jonah Lagat at jlagat2014@gmail.com for more information.